Welcome to the Year 6 SATs arithmetic practice papers. Each set of papers includes all types of questions from the 2016, 2017 and 2018 SATs arithmetic papers. The questions have been organised into 5 individual days of 8 questions. The questions can be practised in any format you wish; either by practising 8 questions per day, grouping days together or by sitting the full 40 questions as a whole practice paper – it is up to you. Once you have answered any questions, you can check your answers using the answer sheet provided. Any incorrect answers or unanswered questions should be coloured in on the arithmetic tracker, which can be viewed and printed using the link below. 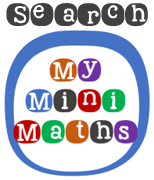 Over time you will be able to identify any common errors and misconceptions using the tracker and then use the Arithmetic 16 practice questions to practise and develop your understanding of any specific questions requiring further support.